Illegal hunting is a scourge on the NSW community, particularly in rural and regional areas. 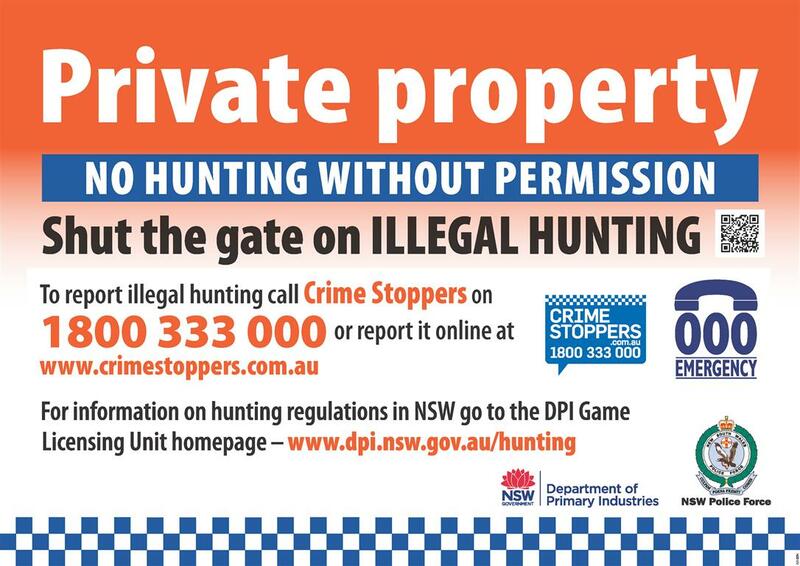 The Shut the gate on illegal hunting campaign is part of a wider program to shut the gate on rural crime in NSW, and is an initiative of the DPI Game Licensing Unit in partnership with the NSW Police Force. What is the Shut the gate on illegal hunting program?